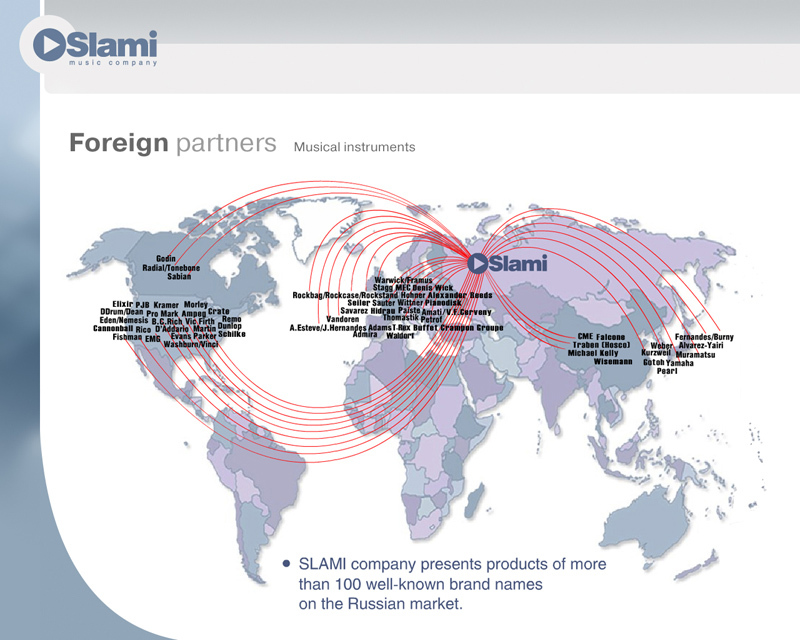 SLAMI company is a distributor of musical instruments, sound and lighting equipment and is regarded as one of five largest Russian distributor companies trading in the given market field. Founded in 1992, the company has been steadily progressing and boosting up its position. 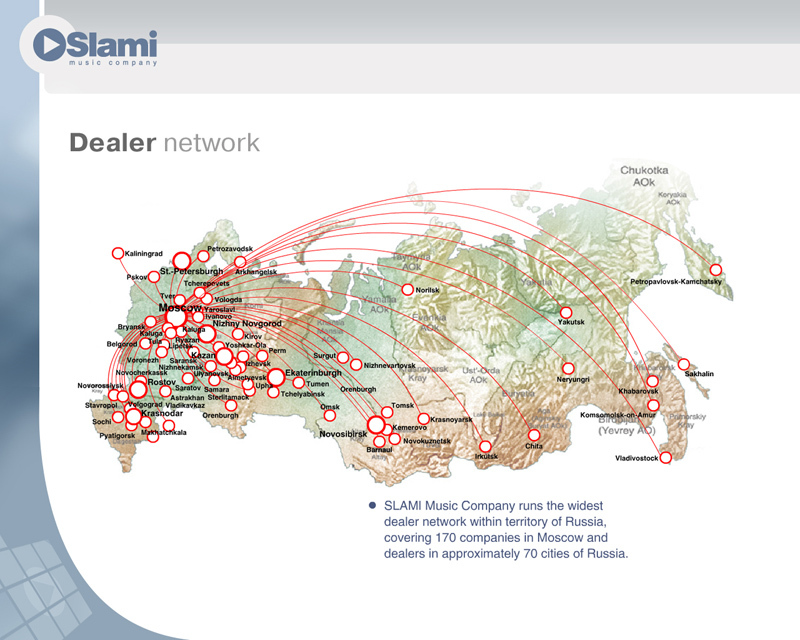 SLAMI is an advanced, fast-developing company featuring comprehensive experience and elaborations in the field of marketing arrangement and management which has allowed the company to launch a proprietary network of music stores "Mir Muzyki" that is expanding its geographical location list year by year. 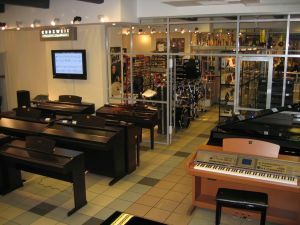 Currently musical instruments stores are opened in the largest cities of Russia: Moscow, St.Petersburg, Nizhny Novgorod, Kazan, Samara, Rostov-on-the-Don, Krasnodar, Ekaterinburg, Ufa, Novosibirsk, Volgograd and Krasnoyarsk. The network stores offer an extensive range of products belonging to all price categories. 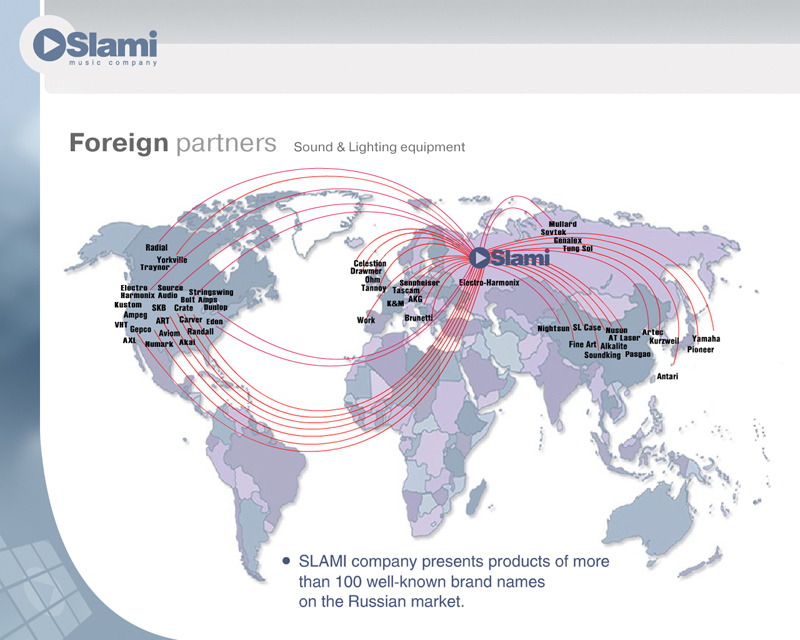 In order to provide its retail network and dealers with a broad range of goods SLAMI company is carrying on cooperation with a hundred of leading manufacturers from all over the world: America, Asia and Europe. 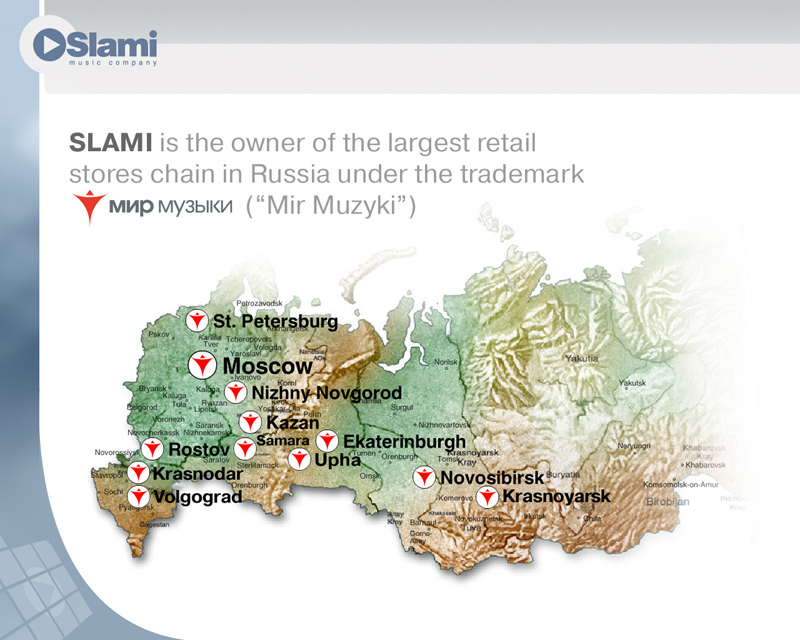 The company's resources and a full-scale range of products on offer have allowed to build up a broad dealer network throughout the territory of Russia. More than 300 firms that are closely collaborating with the company are currently operating in various regions of the country. Projects and Installations Department was set up in the year of 2000. 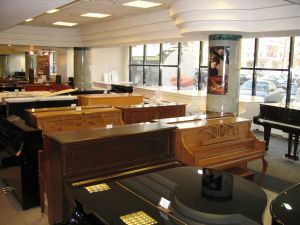 At present this division implements projects of a different complexity level successfully by actually offering optimal sound and lighting solutions for the customers' installations. The company head office is located in Moscow. The company owns its car fleet and storage areas. 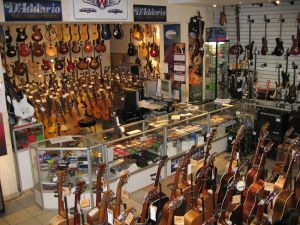 Musical instruments and equipment offered by SLAMI company are certified and covered by warranty and after-guarantee service in the authorized service centre.